3.2 miles, 27 min, 8:26 pace. Easy jog. 63°F. I decided to try doing my runs before work. As it starts to get hotter, it becomes more challenging for me to run later in the day. If you are one of those people who tend to keep putting off your workout till later in the day (and you eventually don’t workout), try doing it first thing in the morning. I know it’s super hard to get up earlier, but then you don’t have to think about it later! I usually get in to work between 7-7:15 AM. Today I woke up at 5:35 AM to go on my morning run (should have gotten up earlier because I was scrambling to get ready later). I’m 99% positive that I saw my college chemistry professor on the trail. He avoided eye contact looked in a different direction as he got closer, but it probably was him. 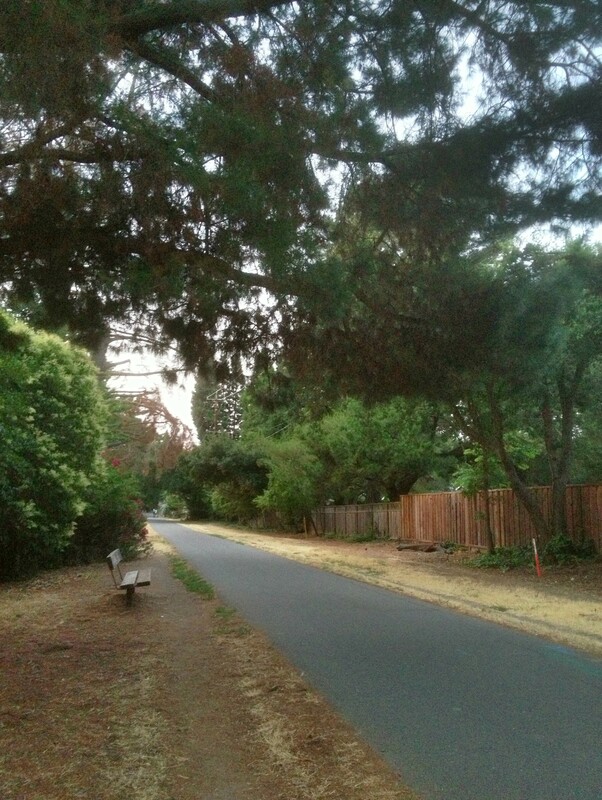 Anyways, I happen to be super lucky and I have the Iron Horse Trail behind my house. I can open up our gate and boom, I’m ready to run. A nice benefit is you can run on the dirt portion of the trail, but I tend to stick to the pavement because of my extreme fear of snakes and lizards jumping out at me. cray cray, I know. Today I wore a long-sleeved shirt from a past 5k run (not pictured along with my sports bra because neither are anything special), PROCompression socks, Mizuno Wave Inspire shoes, RRS shorts (these ones to be exact), and my Garmin Forerunner 10 watch. I swear I wore a shirt. No one wants to see that. I should have looked at the temperature before choosing a long sleeved shirt. I would have been fine in short-sleeved (63°F). I think I’ll do a different post on my gear. A tip for early morning workouts: get everything ready the night before. 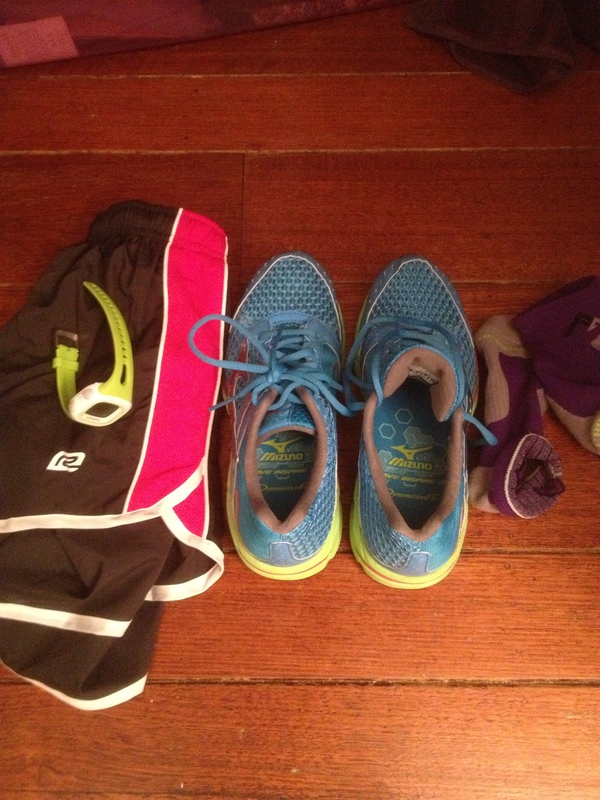 Put out everything you will need for that run. Have your outfit for work, school, etc. out and ready (does it need to be steamed/ironed or de-furred- pet owners, you know what I’m talkin about). Make sure your lunch and breakfast are packed. Make sure your purse/briefcase is ready. I even like to have a small glass of water out on the kitchen counter so I can throw on my gear, down some water, and head out the door. If you really aren’t a morning person, don’t have the time, etc. to do you workouts in the AM, try working out at lunch. I’ve done this in the past, but it gets harder in the summer. 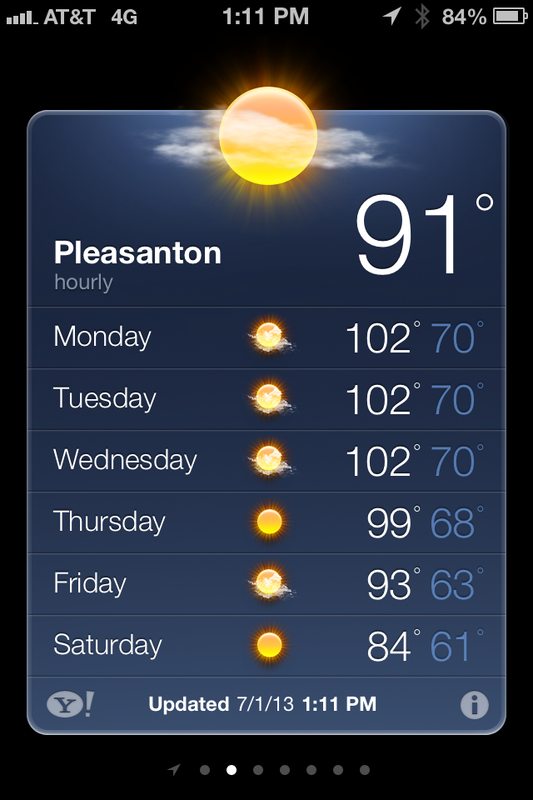 I work in Pleasanton, CA where the temperatures average 100+°F (in the summer). Not good for the running unless you like heat strokes and all that jazz. Another down side is that your workout is obviously limited to the amount of time you have for lunch that particular day. Longer runs are harder to do unless you have a long lunch break. However, if you do manage a workout before or during work, you might find you have more energy throughout the day. At least I do.